Michael Clark, Founder Executive Director Motivateum Inc.
There’s talk and then there’s ‘talk,’ but Michael Clark, Executive Director and Founder of the non-profit Motivateum Inc., walks the talk when it comes to giving back to the community. Geared towards school drop-out prevention, and offering alternatives to joining gangs or turning to a lifestyle of crime, the mission of Motivateum (pronounced ‘motivate-um’) is to provide positive motivation for at-risk youth through mentorship and education. Nonintervention at such a critical juncture could ultimately lead to a life in the penal system. Clark knows the score first-hand. He says, “At age 19 when I went to court for my own criminal activities, the judge took the time to lecture me and for the first time in my life words of wisdom hit home.” Although he had to serve time (cumulative total 24 years) that important lecture set him on the course for rehabilitation, and became his motivation to intervene in the lives of other youth years later after he was paroled. Most of Motivateum’s mentees come from what’s called Teen Court – a program where teens are their own judge and jury – at Los Angeles’ Dorsey High School where Clark works with the youth and does motivational speaking. He consults with the attorney who represented him in his own case – David Wesley now Presiding Judge of Los Angeles County – with whom he maintained contact while incarcerated. Judge Wesley also oversees and conducts the Teen Court. He refers candidates to Motivateum. Clark had also maintained contact with the judge who lectured and sentenced him, retired Judge Judith Chirlin. She is now his biggest donor, advisor and friend. After his release he paid her a visit and says, “When I went into her chambers I just broke down…it was very emotional for me. She was my support. This was the person who told me what I had to do or I’d be spending the rest of my life in the system.” Chirlin’s belief that there was hope for him is what drives him to offer hope to others. 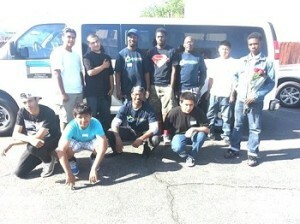 An interesting story is that while he was mentoring to a group he told them a story. A young man in the group said he had heard the story before from his dad. It turned out that his dad was one of Clark’s main gang rivals from the past. The young man is now a Motivateum mentee. 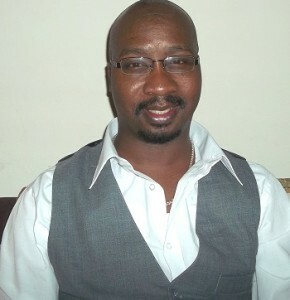 With the skills he learned in prison, Clark was able to land a job at an aerospace manufacturing company; he services computers as a side job. He’s married with children, and all of his additional time is devoted to Motivateum. It is his hope that one day it will become full time. Working with a minimal staff, Clark is seeking donations and a grant to expand so that he can make an even greater impact. He’s currently looking for a permanent meeting place preferably in the vicinity of Los Angeles’ Crenshaw District. 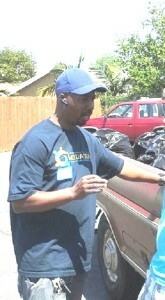 In addition to the group meetings, Clark continues to do mobile mentoring stating, “When I come into a home, I become a family counselor and I can see all the dynamics. Most of the homes are single-parent where the father is not there. 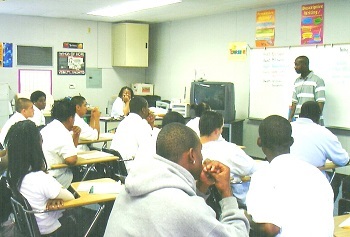 It’s not a cookie-cutter program…each child is different.” Services and classes listed on the Motivateum website include Employment Research, After-School Tutoring, Computer Refurbishing, Life Skills, Anger Management, Prison Awareness, Substance Abuse, and Peer Pressure. Clark says it’s really important that kids see beyond their current circumstances so field trips, feeding the homeless and other activities are also included in the curriculum. 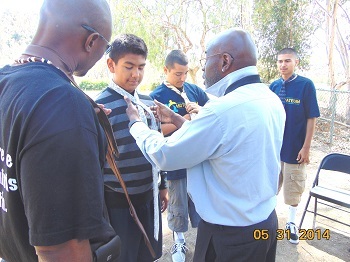 The group recently spent a fun-filled day at Kenneth Hahn Park where mentees went hiking, played games, learned how to change a tire on a car, and how to tie a tie.